Across the world pool owners are now enjoying the pool more because the pool is no longer costing a fortune to run due to power savings made from using the new Energy Efficient Pool Pumps. 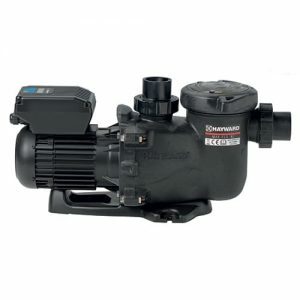 Most pool pump manufacturers now offer a pool pump that is energy efficient. Did you know that your pool pump is the 2nd or 3rd most power hungry item in home? Pool pumps typically run 6-8 hours a day, now due to new technology and advancements in the swimming pool industry this is no longer the case. What is an Energy Efficient Pool Pump and how is it different? Several years ago Pentair Water who own Onga Pumps began to produce DC or direct current pump motors. Normal pump motors run on AC or alternate current like most appliances in the home. As more pool pump manufacturers looked closely at this change in thinking, it allowed the creation of a pool pump that could push similar volumes of water with reduced energy meaning you could turn over / filter your pool with less energy input. The end result is the option to now save more than half your previous pool power usage, simply by changing your primary pool pump. Savings do vary depending on the pool filtration setup. Can I run my Energy Efficient Pool Pump on off peak power and save even more?